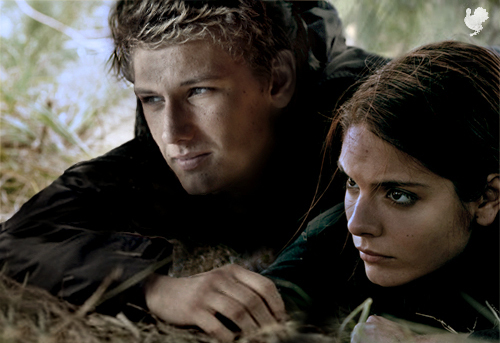 peeta and katniss. . Wallpaper and background images in the Peeta Mellark club tagged: peeta mellark katniss everdeen. Can anyone tell me the name of the guy? yussssssss! finnally someone that thinks the girl from tomorrow when the war began should be katniss! The guy is Alex Pettyfer. I actually like these two characters for the parts too.